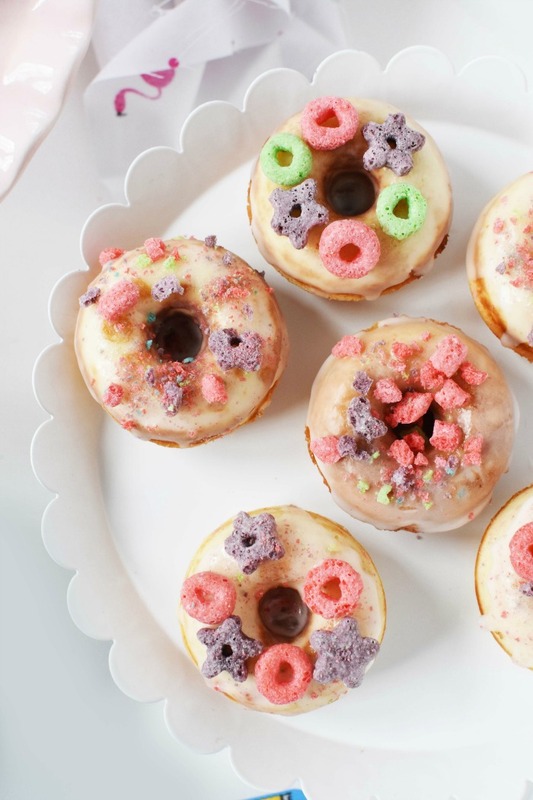 These 5-minute-per-batch baked cake donuts feature Kellogg’s® Wild Berry Froot® Loops Cereal and Milk Icing. 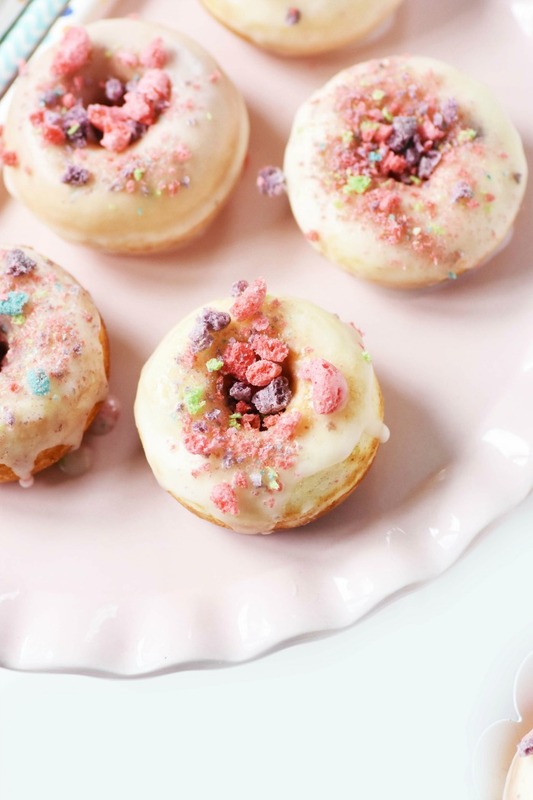 These fruity & easy to make donuts will evoke childhood memories of milk & cereal but in a tasty donut form! This post has been sponsored by Kellogg’s. All thoughts and opinions are my own. 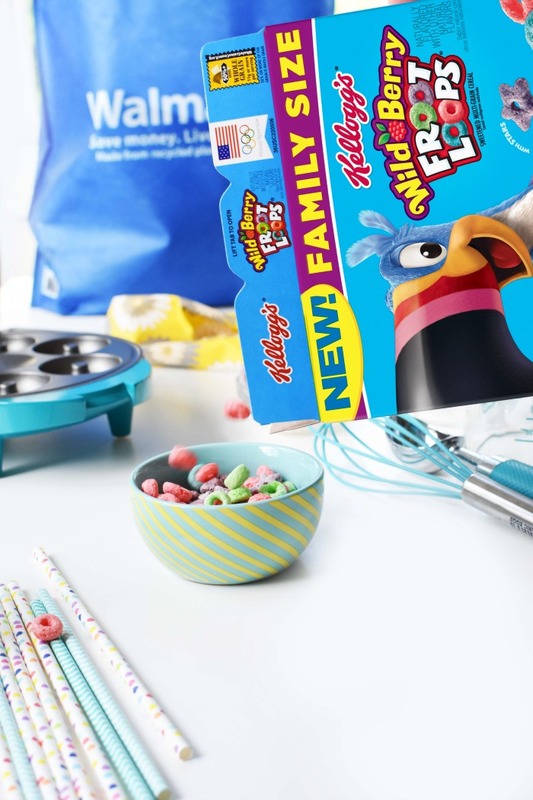 Summers just got a little wilder around here thanks to new Wild Berry Froot Loops® Cereal. Right now in my home, there are very few schedules, donuts go for lunch, and my kids probably do not even know what day it is. 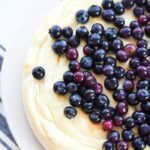 Despite the hecticness, I try to keep a certain amount of structure so that I can juggle my multiple jobs and put at least one hot meal on the table.I often turn to foods like Wild Berry Froot Loops® to double as a breakfast, snack, or recipe ingredient. 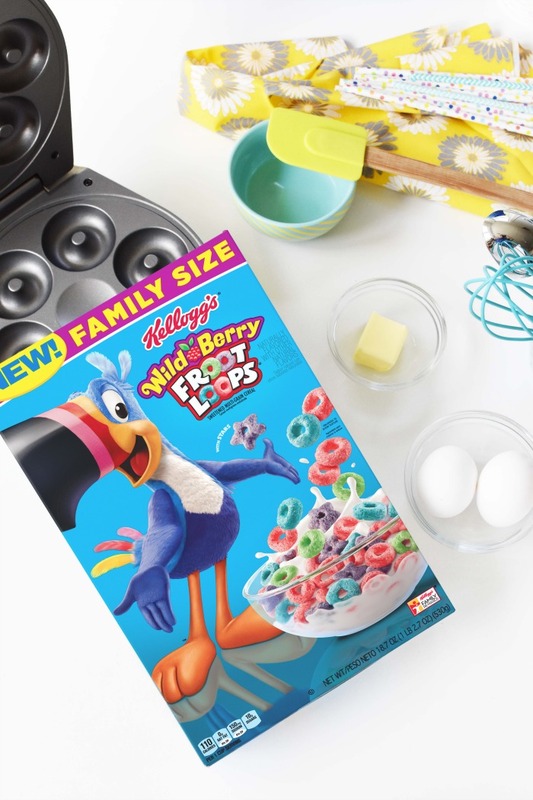 I often turn to foods like Wild Berry Froot Loops® to double as a breakfast, snack, or recipe ingredient. Honestly, I was an 80’s child who grew up with Toucan Sam commercials and Froot Loops. 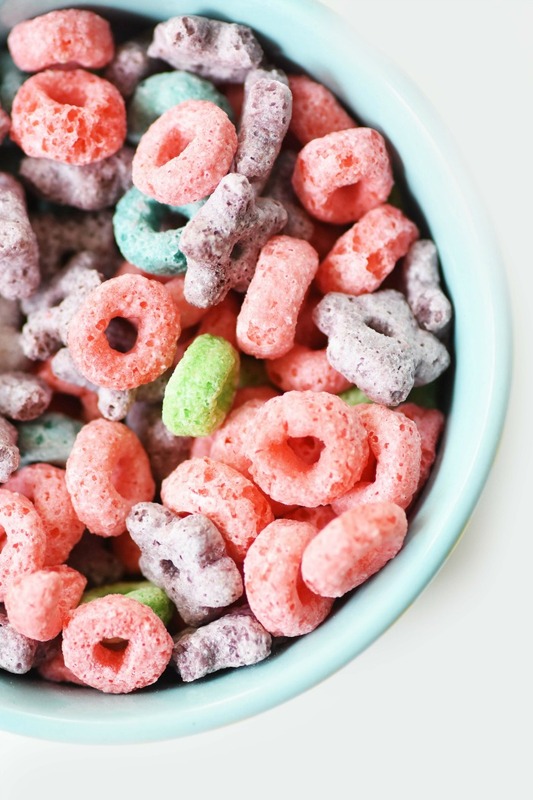 I still remember the excitement that welled up in me when my mom would buy Froot Loops when they were on sale. I loved eating them dry or with that oh-so fruity milk. Isn’t Froot Loops milk the best? 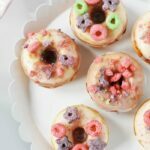 To celebrate our mildly wild summer days, I wanted to share these delicious & easy Mini Baked Cereal and Milk Donuts—Wild Berry Froot Loops® to be exact. 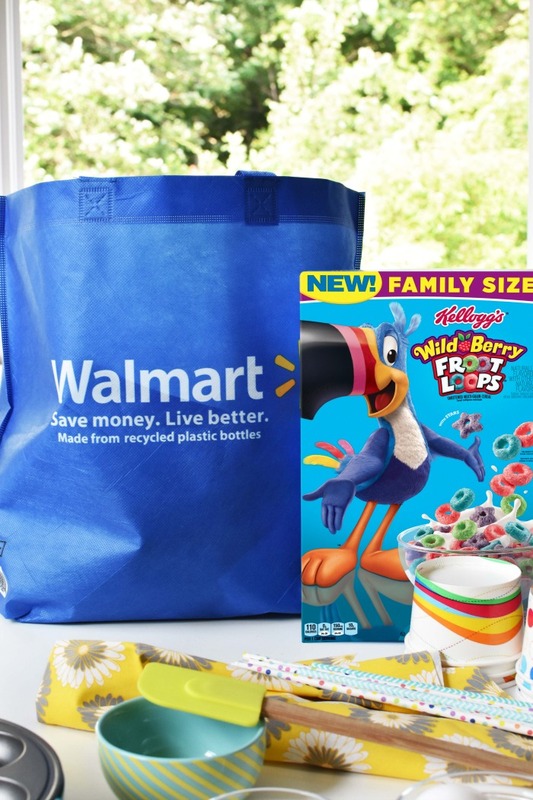 Ok, so I know when you head to stores like Walmart, it is easy to get bombarded with tons of different cereal brands. 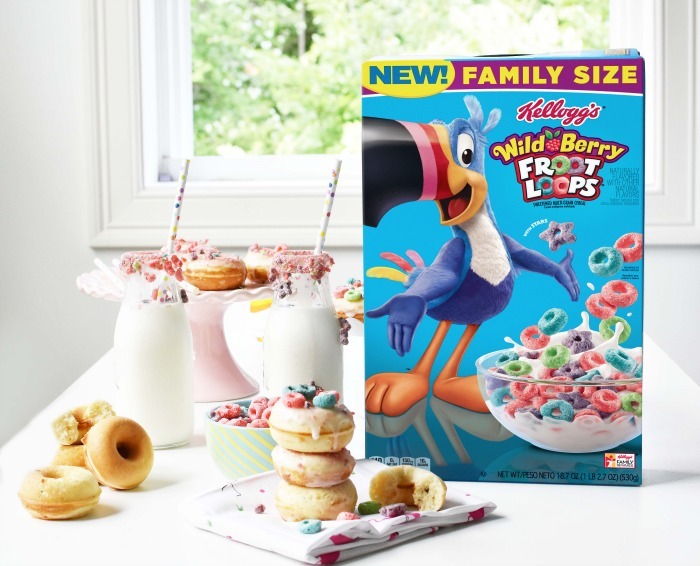 But, do yourself a favor and pick up a box of Wild Berry Froot Loops®. They are just so extra fruity and have some cute purple stars mixed in. I am pretty much a sucker for cereal that comes in cool shapes and colors! While I was at the ever so convenient Walmart (like 2 miles away from my home), I picked up some powdered sugar, cake flour, and butter to make these Mini Baked Cereal and Milk Donuts. Walmart basically always has all of the things. Mini donuts are the best thanks to the little mini electric donut maker I have. It bakes up fresh donuts so quickly (less than 5 minutes). 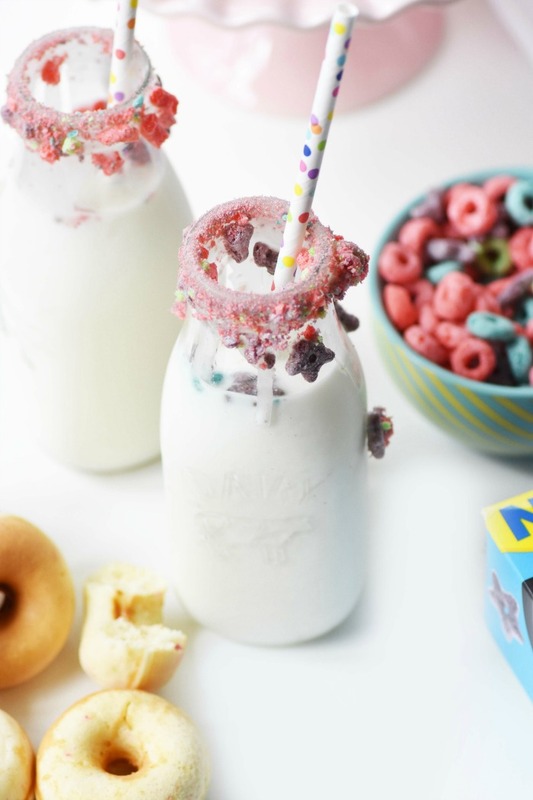 Perfect for Wild Berry Froot Loops® donuts. 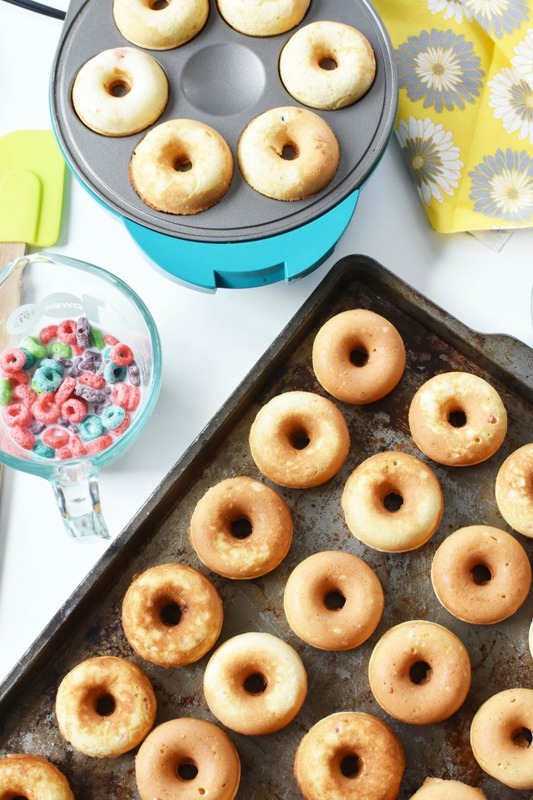 These mini donuts are made super fruity thanks to the Wild Berry Froot Loops®. This fresh and fruity cereal not only tastes amazing but smells so good! My kids love them and so do I! It makes for a great snack, breakfast, lunch, or maybe even dinner..shhh. 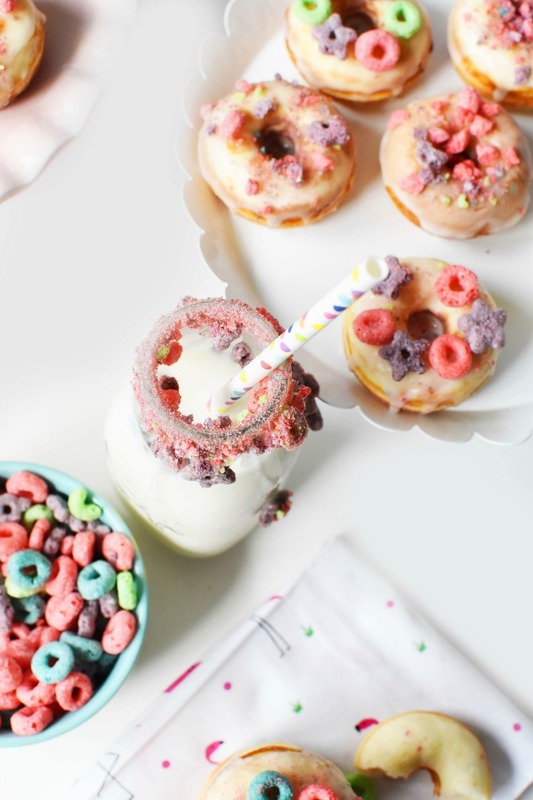 The beauty of using cereal in donuts is that you get the best of both worlds that combine to make one delicious breakfast or snack! I even soaked the cereal in milk to get all that yummy, fruity goodness for the milk icing–total win there! 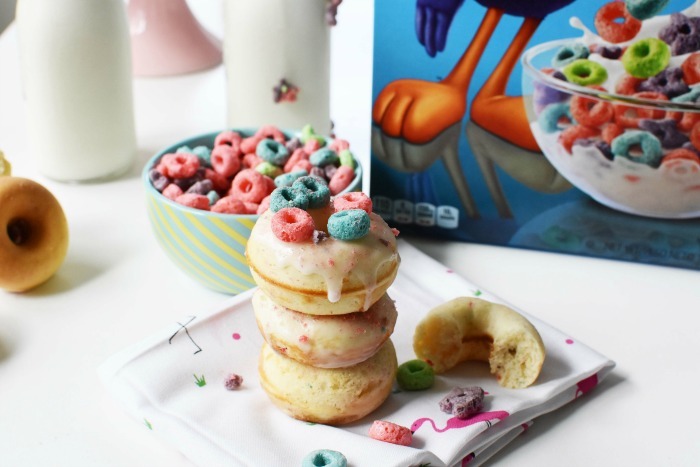 To top my mini cake donuts, I crushed some of the Wild Berry Froot Loops® to make a fine powder and added some whole pieces of cereal once they were iced. They came out so good! You know you want one or two—right? 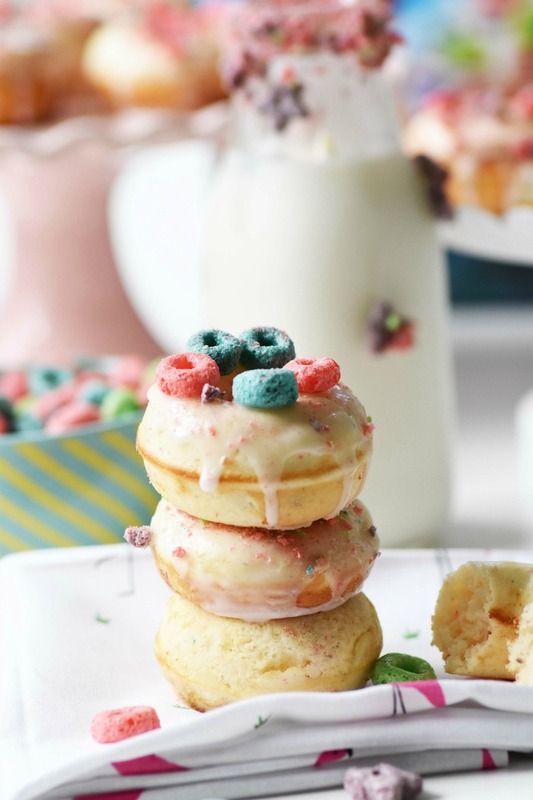 These 5-minutes-per-batch baked cake donuts feature Kellogg’s® Wild Berry Froot Loops® Cereal and Milk Icing. 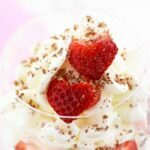 They are fruity and easy to make for a snack or morning treat! 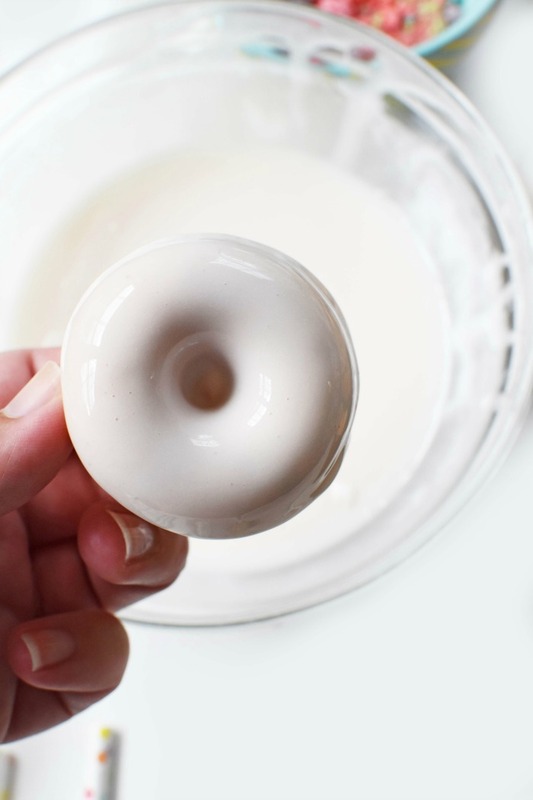 Spray mini donut maker with non-stick spray. 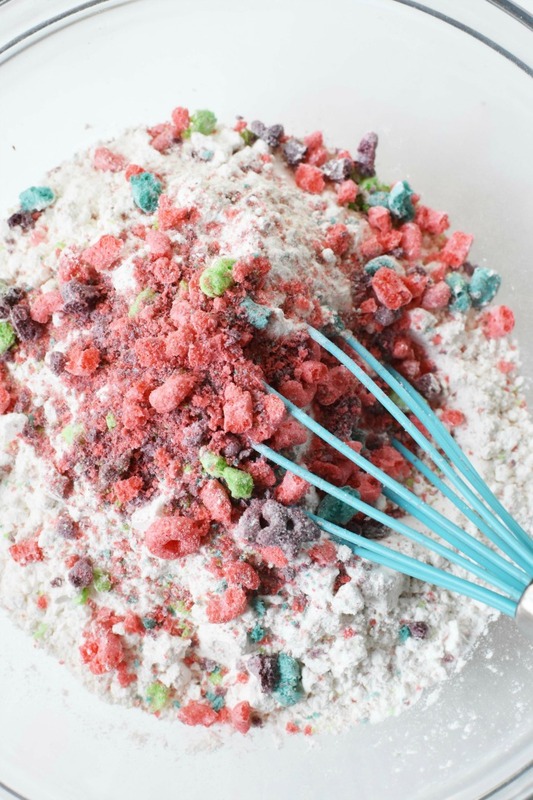 In a medium bowl, mix the cake flour, baking powder, salt, sugar, and cereal until combined. Add in milk, eggs, butter, and vanilla extract. Whisk until well combined. 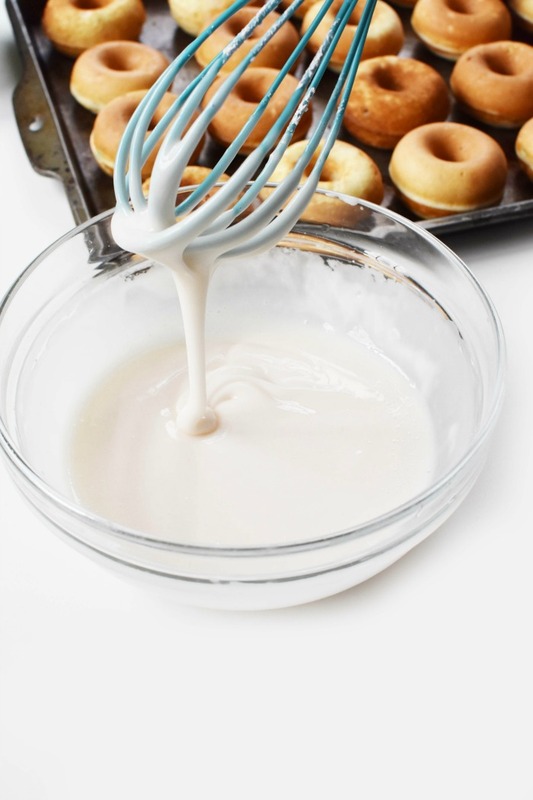 Add batter to a large zipper bag and snip one corner to pipe batter into the donut maker. Bake for 3-5 minutes in the donut maker, repeat until all 5 batches are done. Add 1/4 cup of cereal to 3 tablespoons of milk and allow it to steep for 20 minutes. Once steeped, strain out cereal and discard. Add milk to powdered sugar and combine until thick and creamy. Ice cooled donuts by dipping them face down and allowing the excess icing to drip down. Sprinkle with additional cereal. Donuts made from Fruit Loops? 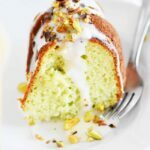 I think this might be the best recipe idea I’ve ever seen! Wow these donuts look fun and I bet the kids would like them. I never thought of making donuts with cereal. Such a neat idea! I want to make peanut butter cupcakes and put Cap’n Crunch on them. That would be perfect! Wow! You created gorgeous donuts! 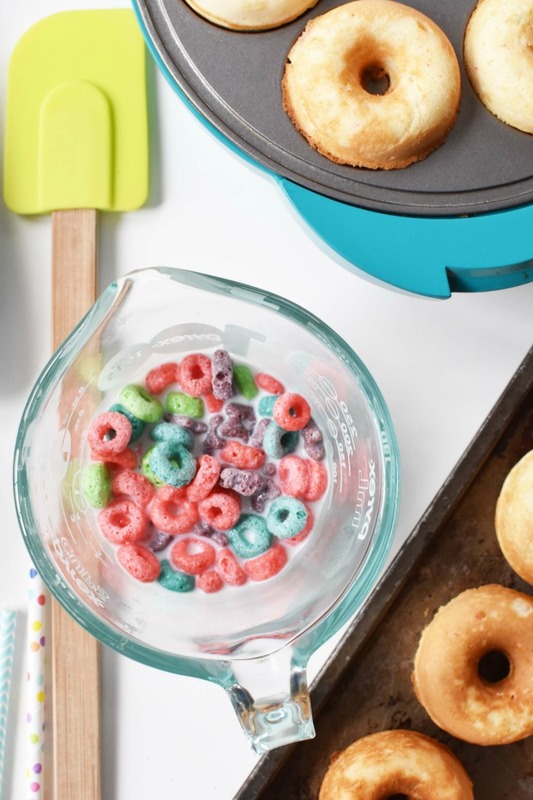 I love the idea of adding cereal on top, they make a great decoration and I’m sure they make the donut taste even better. They look soooo good! My son would love something like that! Can’t wait to try it! Oh my! I am drooling! What a genius idea and way to use cereal! 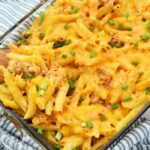 I so wish this was a low carb recipe for my diet because I would go hog wild! 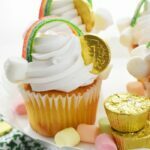 These are adorable little treats! And they are made with one of my children’s favorite cereals! Yum! These are my kind of donuts! I’d make these but hide them from the kids haha. This is genius! I’m going to try making this with my daughter. We love trying new donut recipes together.